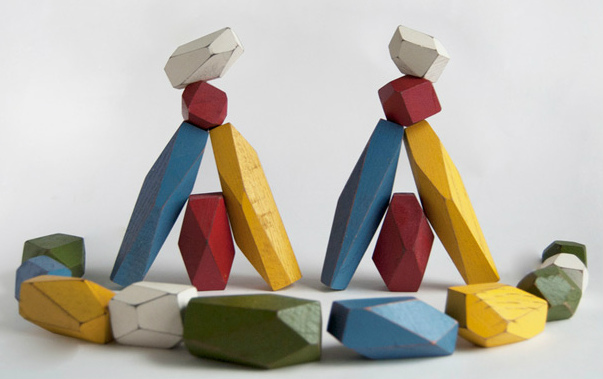 These amazing wooden blocks will make your current blocks seem, well, square. What child doesn’t love building towers to see how tall they can make them? These incredible blocks from New York design studio Fort Standard for Areaware put a creative spin on your standard tower. Not only do they look great, Balancing Blocks can be placed and stacked in all manner of gravity defying ways to create Stonehenge-esque sculptures. This is the kind of toy that the whole family can enjoy and, let’s face it, the kind of toy that makes a great dinner party conversation starter long after the kids are asleep. Areaware aim to create thoughtful, unusual and aesthetically beautiful products, and Balancing Blocks certainly fit that brief. 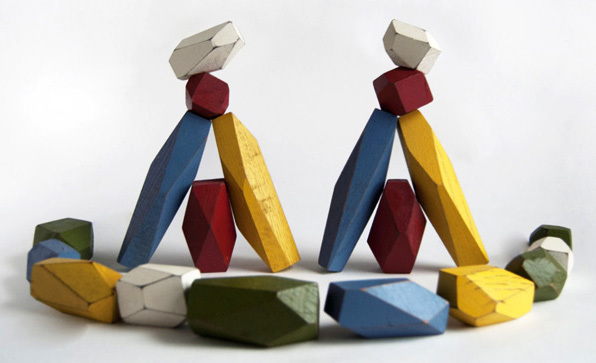 They are carefully carved from repurposed oak wood into ten-sided shapes and tumbled in a water based paint. If the images of these gorgeous blocks haven’t sold you, check out this delightful video. 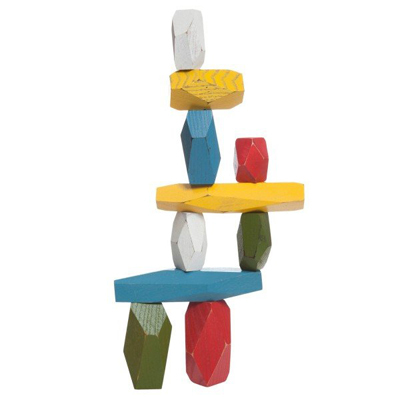 Equally at home on an office desk, display shelf or kids’ toy box, Fort Worth Balancing Blocks make a brilliant Father’s Day gift for the dad-who-has-everything or a wonderful present for a special child’s birthday. They are beautifully packaged and available locally from Minibots for $75, plus shipping. Browse our archives for more cool products from Areaware, including their brilliant Animal Boxes.